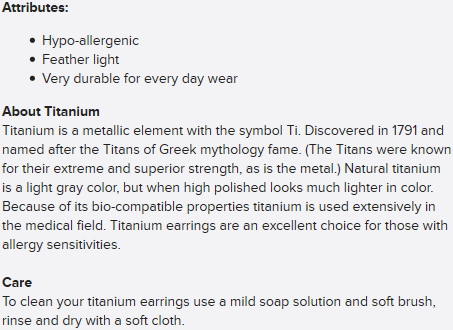 These titanium huggy earings are perfect for every day wear. They are so lightweight you won't even notice you have them on. 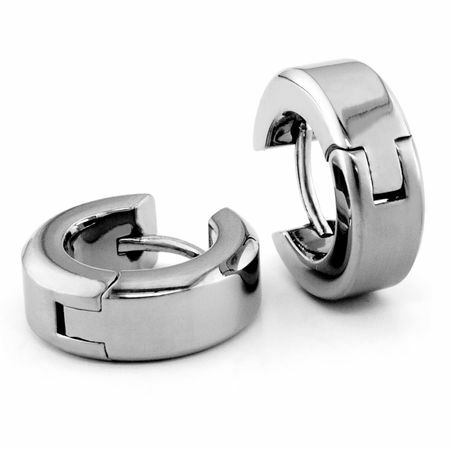 The high polished titanium is perfect for casual and dress. A popular titanium earring seller! Very easy to use site and my new earrings arrived safe and sound! I love them and am wearing them as I type this review. They were for my daughghter who is allergic and they were the perfect size for a young woman and easy to put on and take off. I was very happy with the quality and I would buy them again. I was surprised to receive these and find that one side was brushed, and the other side was shiny. That's like two pairs of earrings… something I didn't anticipate from the description. I am really enjoying them. I already own an Edward Mirell piece, so I was not disappointed at the high quality of the them.